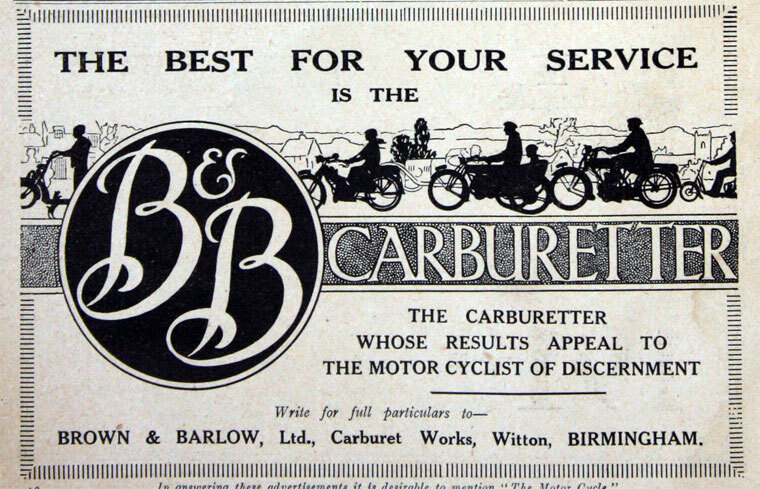 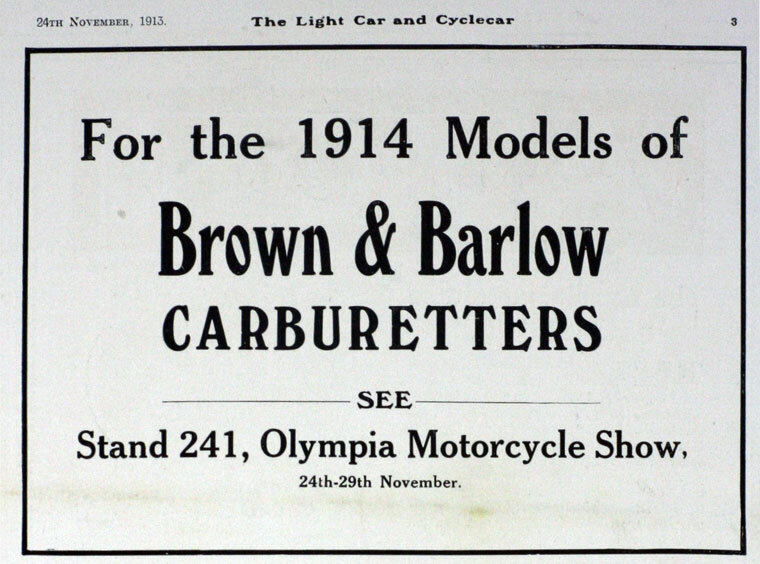 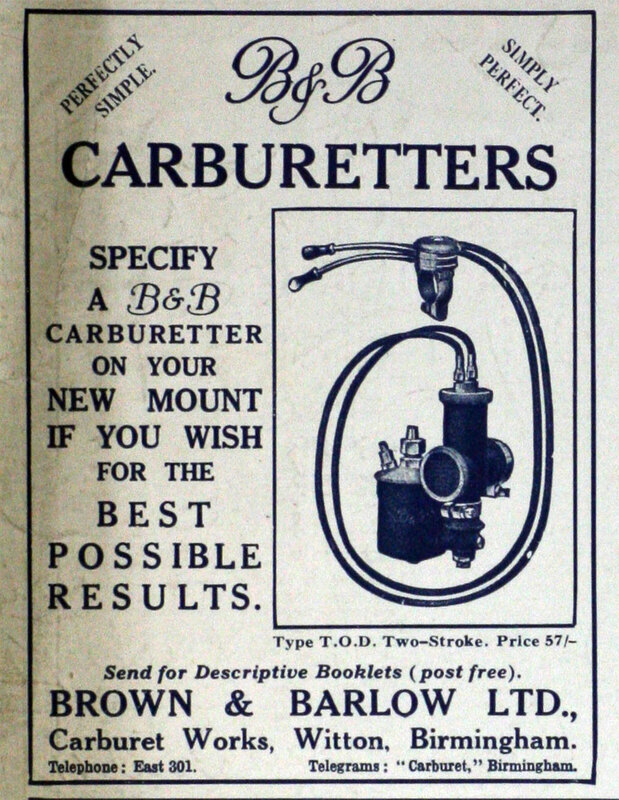 1900-1940s Makers of carburetters for much of this period. 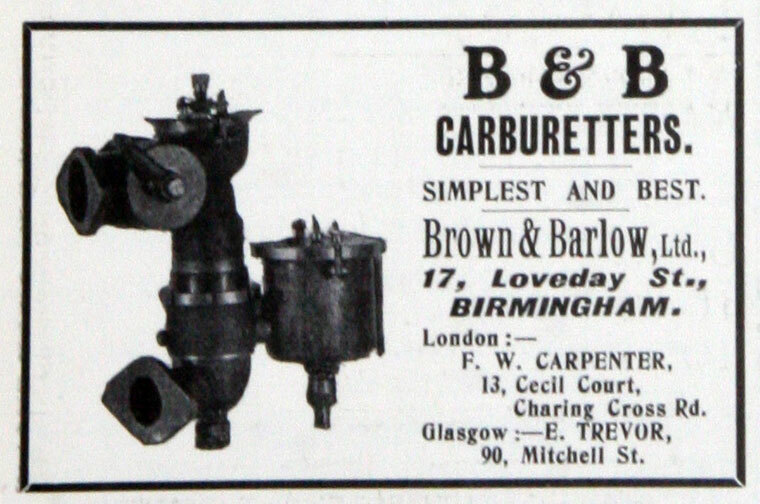 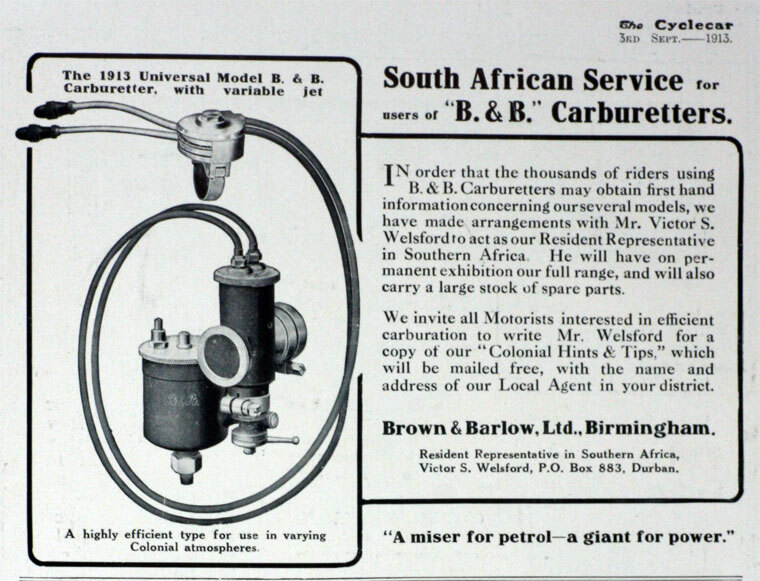 1915 Patent to Clement Brown and Brown and Barlow Ltd: Improvements in or relating to Carburetters for Internal Combustion Engines. 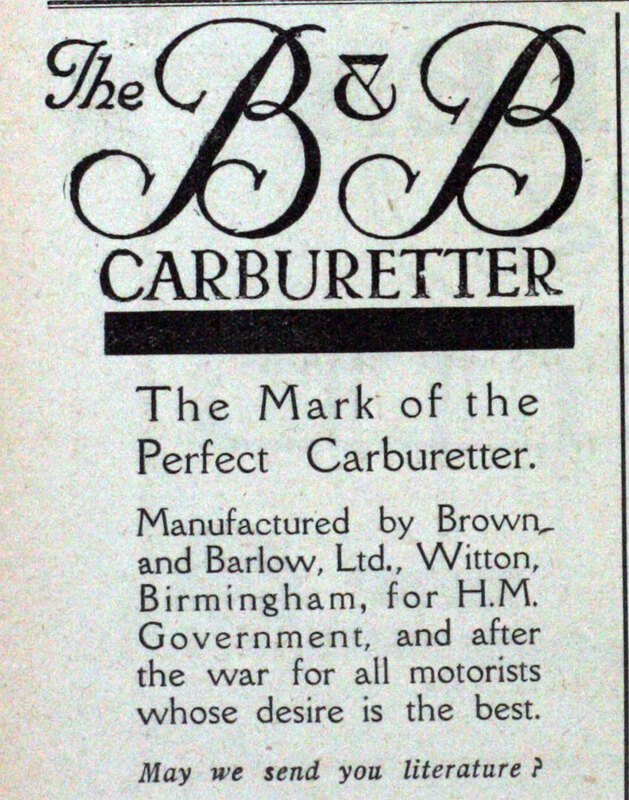 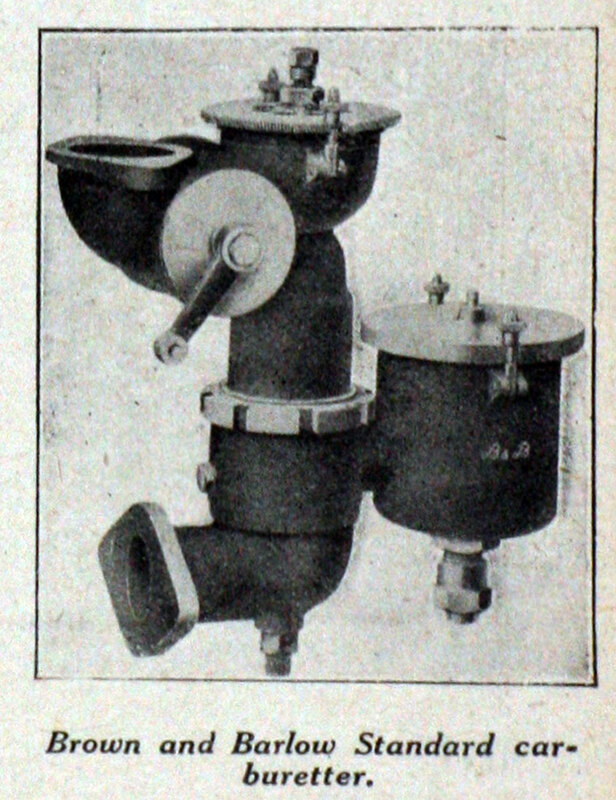 1923 Application for a patent on a twist grip control: "Improvements in or relating to operating means suitable for flexible power transmission mechanism"
1927 Amalgamation of several organisations including Brown and Barlow to form Amalgamated Carburetters Ltd, in order to manufacture and market carburettors and associated products. 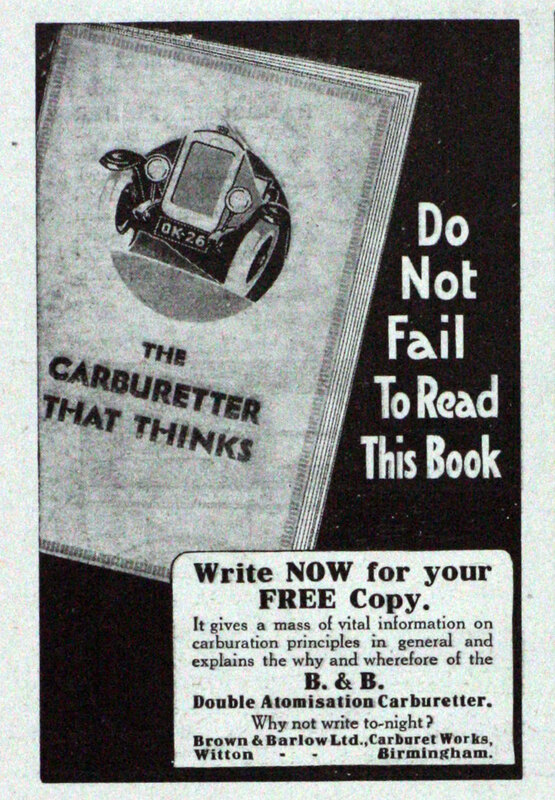 This page was last edited on 8 January 2017, at 11:51.